I’m not the biggest fan of Kanan Gill’s stand-up comedy, but Keep It Real has forced me to go deep within myself and introspect. 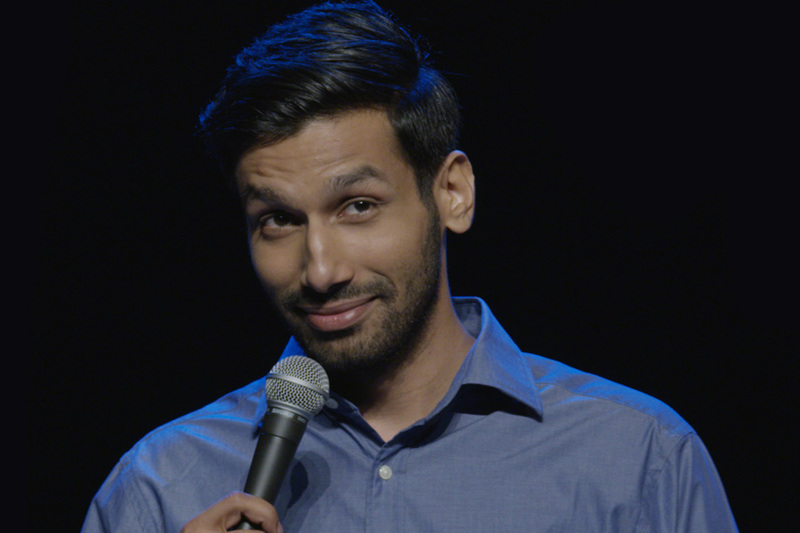 Unfortunately, it isn’t because of the depth of the material that Kanan brings into this 60-minute Amazon Prime special – instead, I’ve been questioning the very nature of stand-up comedy and what I expect from it. Does stand-up serve only to distract us from our daily worries as we spend an hour, occasionally chuckling while not paying full attention? Should I feel disappointed about not being exposed to observations that will change my perception about humanity? And where does Kanan Gill fit into this picture? Keep It Real is good stand-up comedy. It’s light, relatable, and has more than its fair share of high points. It starts with Kanan speaking to his parents over the phone for 2 minutes, and while this has no immediate connection to the show (which is annoying because it’s a pretty long setup), it helps establish a dynamic that’s brought into the limelight ten or fifteen minutes later. Kanan’s relationship with his parents is an integral part of the show and is perhaps the most relatable portion. Him cribbing about having to teach his parents new tricks on smartphones and iPads while keeping in mind that they potty-trained him is as real as it is endearing. The problem is that sometimes it gets too relatable – almost to the point where it’s mundane. You’re likely to laugh the first time, but just as likely to not remember any solid punchlines from this segment a day later. Kanan’s observations about romantic relationships are another highlight. It’s hard to bring freshness to comedic content about boyfriends and girlfriends, but Kanan manages to land a few punches that you won’t see coming. The passive-aggression that permeates most relationships balanced with our tendency to push stuff we like on to our partners is a profound commentary on the modern dating scene. The funniest part by far, however, is his long-form story on doing drugs (in this case, medicines meant for menstrual cramps) as a teenager, and its hilarious after-effects. While most comedians have spoken about Marijuana use, the unknown effects of pharmaceutical drugs gives Kanan a lot of space to bring new observations into the mix (he does a hilarious imitation of hormonal 16-year-old boys finding a way to relax). Kanan’s delivery is a mixed bag. There are times when his pauses are spot-on, but also times where he is perhaps expecting the crowd to laugh harder than they actually do, resulting in some uncomfortable silence. It’s interesting to note the similarity between his narrative voice and Biswa Kalyan Rath’s. Both revert to their Pretentious Movie Reviews style of narration and it works out pretty well for them. Kanan’s attempts to tie in earlier jokes with later narratives are also hit-and-miss – while his “monkey – hatt!” exclamation works on all the occasions he pulls it out, his continuous references to haldi seem a tad bit forced. Keep It Real is a good stand-up comedy show – but it stops short of being a great one. The content and delivery are both breezy enough to not make you fully aware that it’s a 60-minute show, but it’s unlikely to remain etched in your memory for too long. My moral dilemma about what expectations one should have from stand-up comedy notwithstanding, it comes down to what you’re looking for – if you want an hour of content that won’t leave you bored and will keep you in good spirits for an hour, then Keep It Real does the job just fine. If you’re looking for something a little more intellectually stimulating, you’ll be disappointed. We’ve seen enough Amazon Prime specials to assess what the general quality has been like – and Keep It Real is somewhere in the middle of the pack. It’s easier to watch and recommend than Azeem Banatwala’s Cometh The Hour, but not close to the masterful writing of Biswa’s Biswa Mast Aadmi. If I had to ‘keep it real’ in my ultimate verdict, I’d say light, frothy and fun – but easily forgettable.